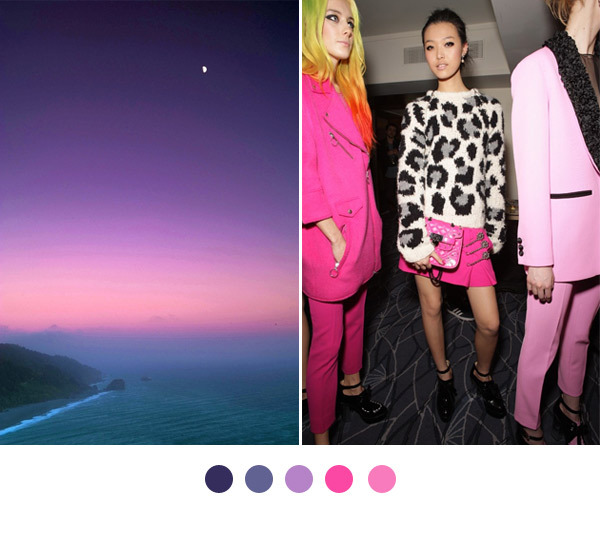 I love this combination of punchy pinks paired with the serene blue hues of this breathtaking sunset. In many ways these pictures seem like polar opposites, which is exactly why I think they look so good together. On the left the mood is calm, while on the right the same colors are more striking and edgy. I'm in love!